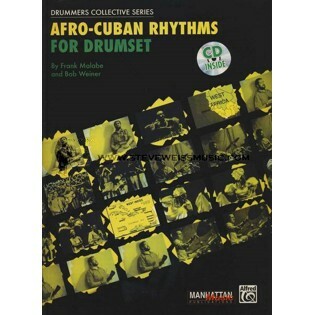 Afro-Cuban Rhythms for Drum Set by Frank Malabe and Bob Weiner presents an introduction to Afro-Cuban rhythms, including the history, traditional instruments and basic styles of Afro-Cuban music. The book explores the complexities of these various styles in a simple, understandable way. The companion audio is invaluable to anyone interested in adapting these rhythms to the drumset. I've been using this book in my lessons and taking the notes home and practicing. This book is the exact opposite of books I hate. Instead of just throwing a ton of rhythms at you with no context, this book gives you the basic patterns for rhythms. 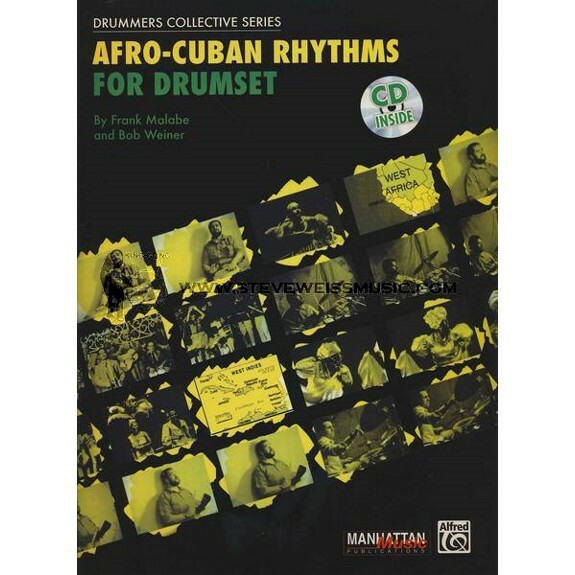 Shows you 2 3 Clave and 3 2 Clave then gives you in depth detail on where the rhythm came from and how its used, gives you a couple examples of how it can be used and then you have the knowledge to be creative and form your own style out of whatever Afro-Cuban rhythm(s) you're using.